The Niagara Conservation Company has been in business for over 30 years. The owner and founder of the company dedicated their company to providing water conservation products. 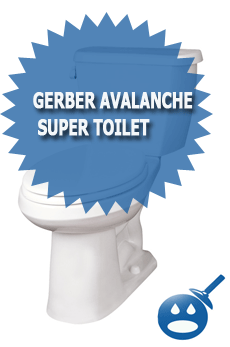 This company has developed the Niagara Flapperless Toilet, which is a high efficiency toilet in addition to the ULF or the Ultra Low Flow Toilets.If you are looking for a new way to conserve water, then this may be the toilet for you. 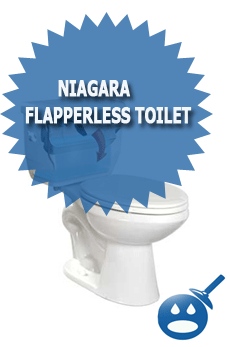 The Niagara Flapperless Toilet will save you money every month on your water and it is considered to be a green product because of the efficiency. 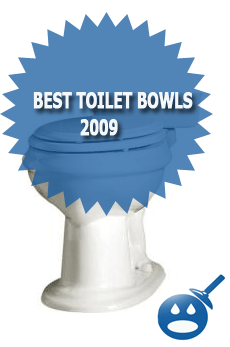 Looking for a new toilet then take a look and see if this toilet is best for you. If this sounds strange then you are not the only one who thinks so. Flapperless toilets? 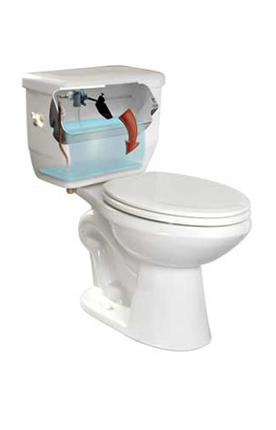 A flapperless toilet is the only toilet that works on the gravity flush concept. The water flows by the use of Niagara’s patented tipping bucket technology. No other toilet manufacturer is using this idea. The difference in toilets is that standard toilets have a rubber flush ball that can leak from a bad installation or from normal wear and tear from minerals in the water. With the flapperless toilet, you won’t get leaking. This is what you will get; the Niagara Flapperless Tank will include the patented Niagara Flapperless Flush System, a tamper proof flush system that does not exceed 1.28 or 1.6 gallons per flush. Also in the tank you will no flapper that will save you on leaking or having to replace any parts. This unit has a fluidmaster fill valve and an over-sized cover that covers up any extra wall that may be exposed after installation. The bowl comes with an over-sized footprint with an adjustable rough in. There are 28 separated siphon jets that surrounds the lid for an accurate cleaning. You may want to know what the benefits of using this style toilet, there are some great benefits such as that two models are actually ADA approved. This toilet from Niagara will use about 50 to 60% less water than other standard toilets that use 3.5 gallons per flush. There are even less movable parts than on a standard toilet; this will help with less to little maintenance. 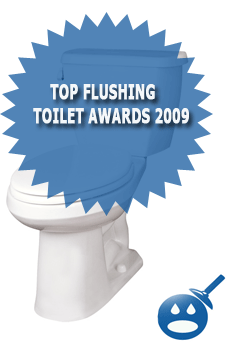 The toilet is a top rated flushing system. The prices on the Niagara Flapperless Toilet range from $138.00 to $150.00. This affordable toilet will save you money, since there is no flapper to replace and it won’t leak, which means that you can conserve water too. You can find these toilets online or visit the Niagara Conservation website and look for a location nearest you. My new niagra toilet will not refill. Can you help me?